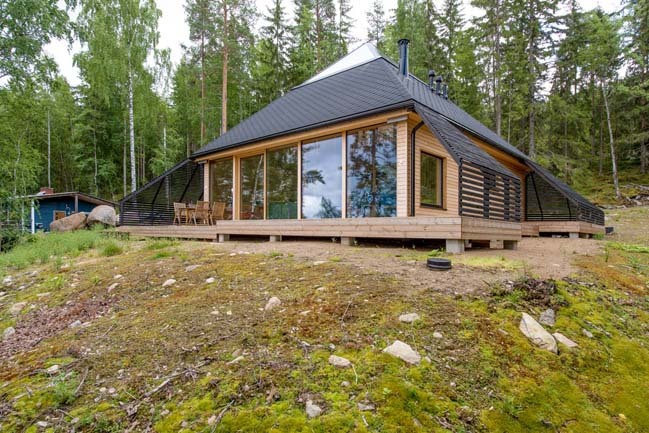 Pyramid House is a lake side summer house with the glazed pyramidal top that allow for 360 degree views over the magnificent surroundings. 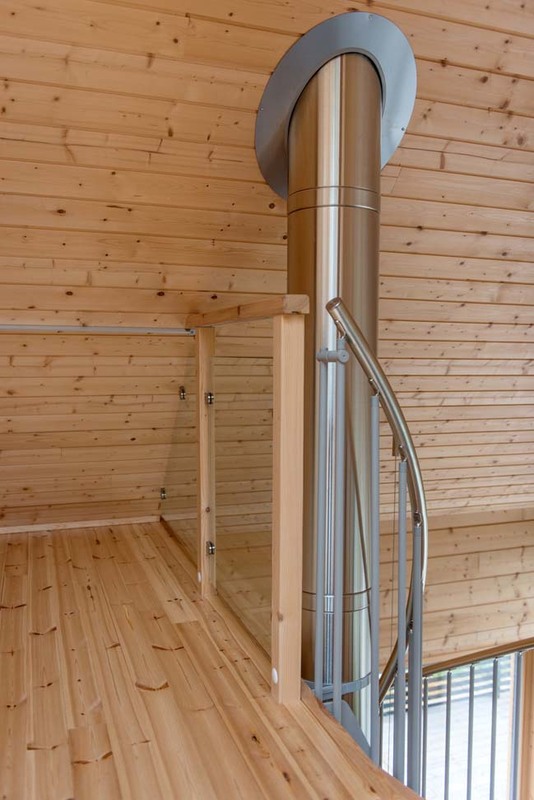 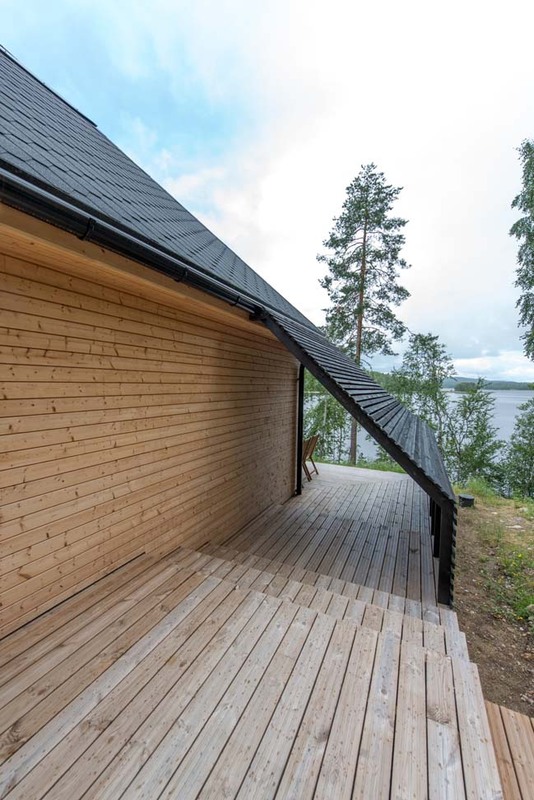 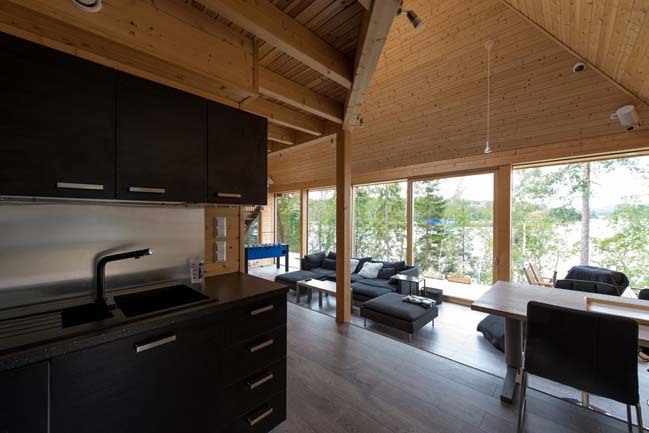 Project's description: The house sits on the shore of Lake Päijänne, in the Municipality of Sysmä (Finland). 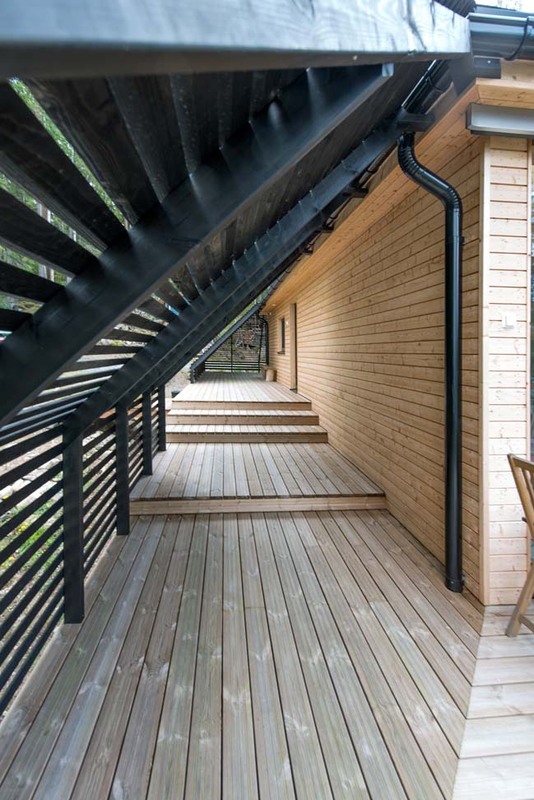 The house has a total gross floor area of 125 smq, split between ground floor and mezzanine floor. 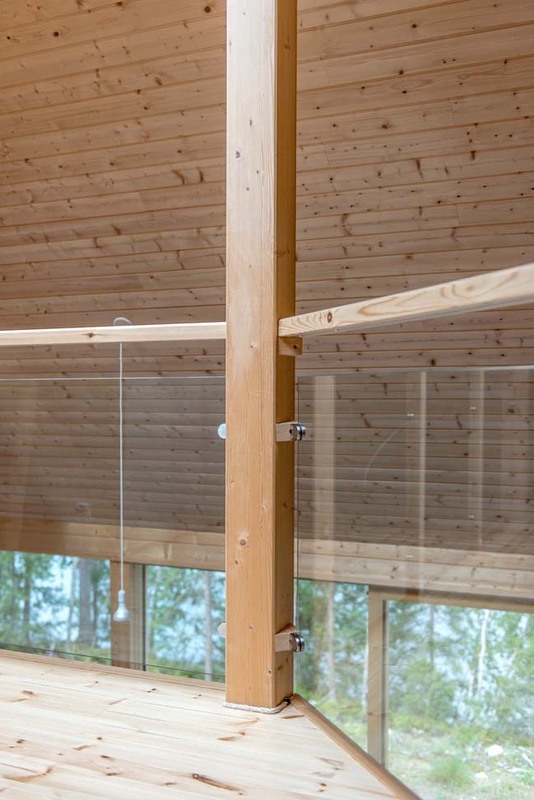 A 10 meter long lake facing glass wall dominates the interior of the house, with the double height open space living area overlooking the view opening above the lake. 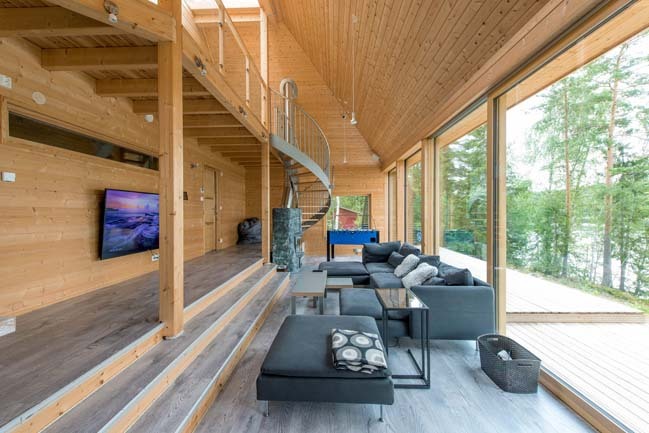 The clean lines and the iconic geometric form include a guest bedroom, sauna and a modern kitchen gallery, in addition to outdoor spaces such as a breakfast deck, a dining terrace, a relax deck and several other storage and technical facilities. 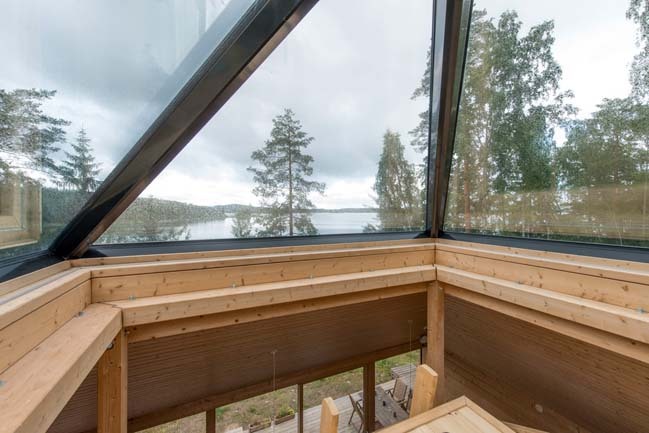 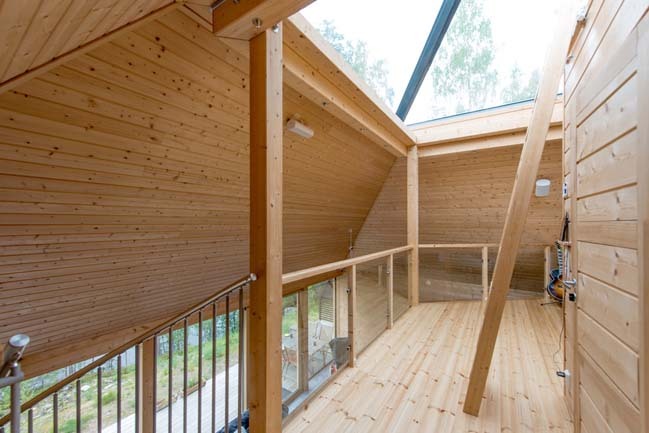 The glazed pyramidal top is designed to allow for 360 degree views over the magnificent surroundings from within the house. 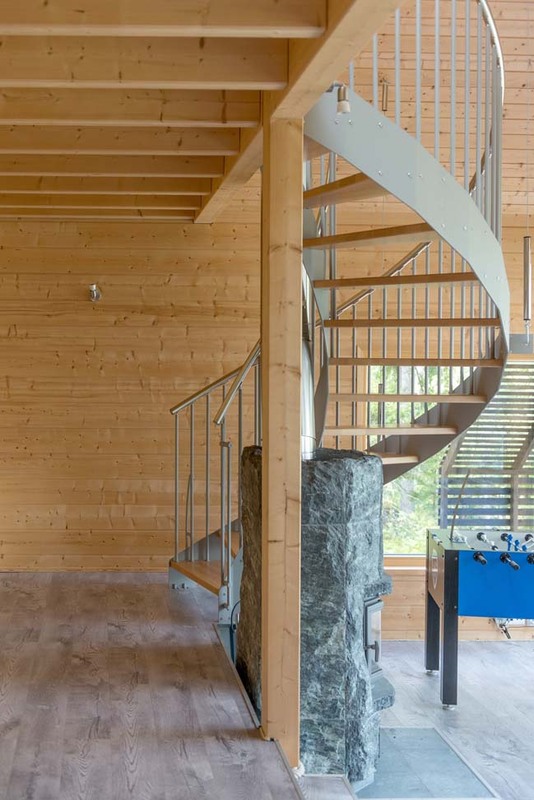 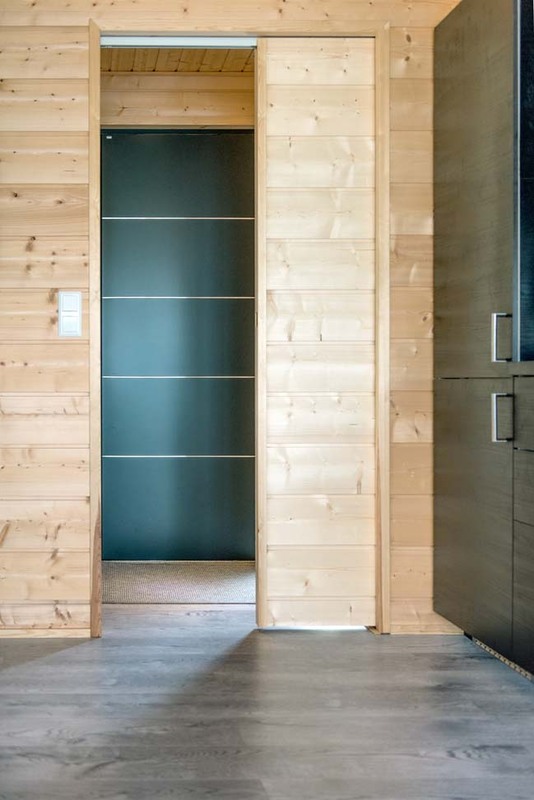 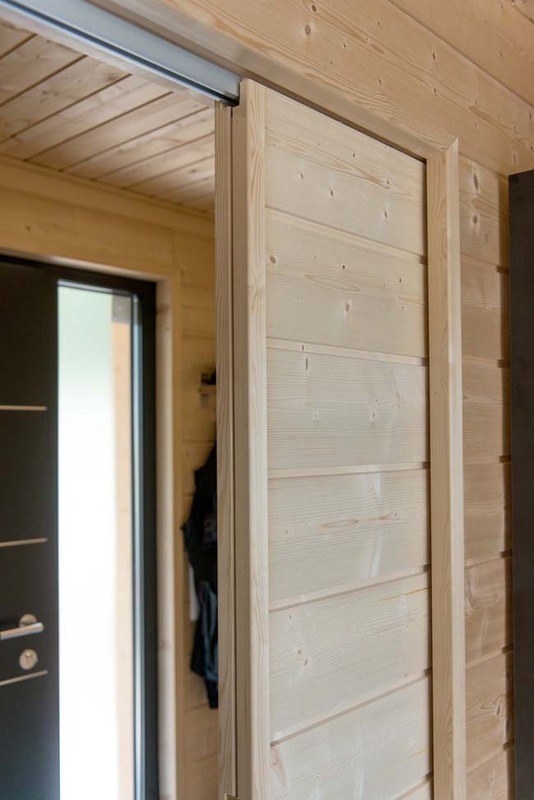 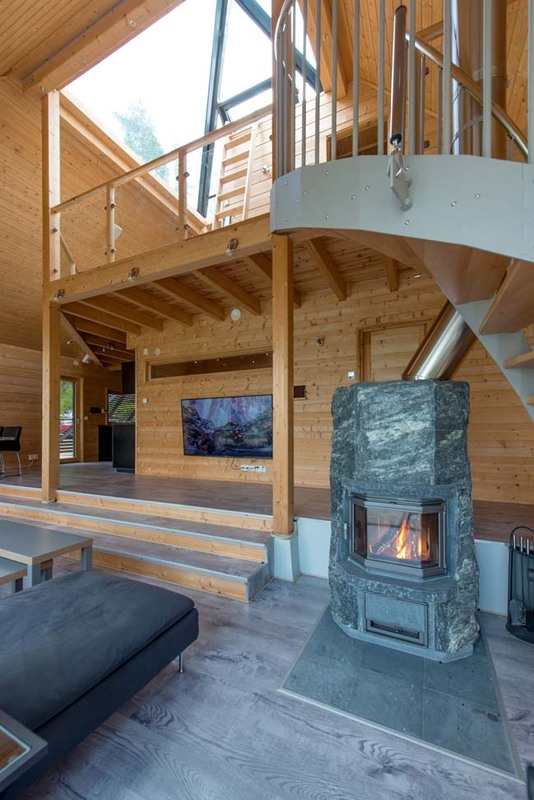 The use of natural, high quality materials will bring out the natural texture of the house to fit the extreme beauty and wildness of its immediate surroundings.